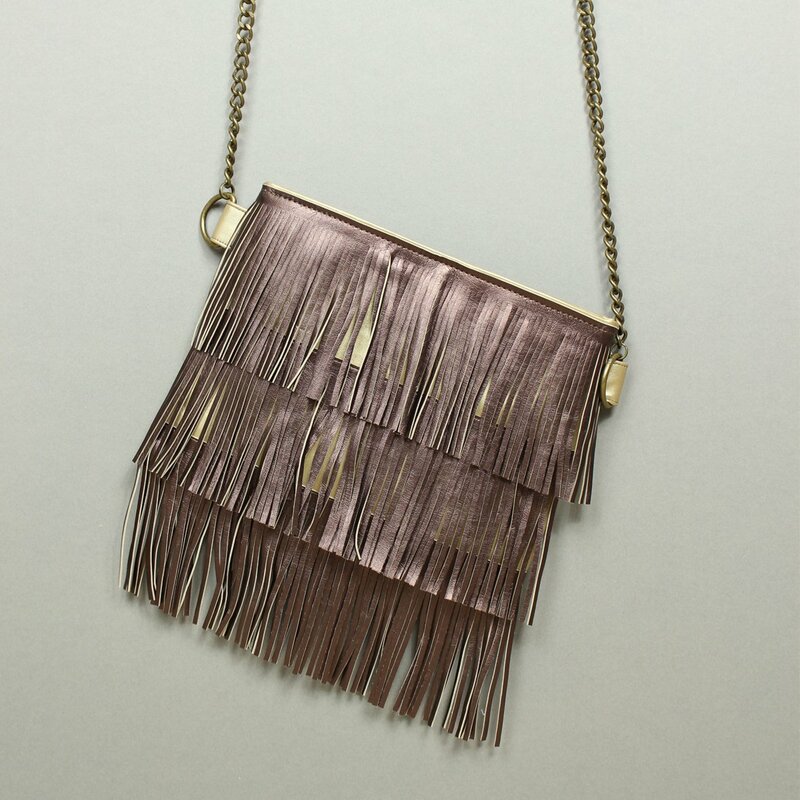 The editor of Love Sewing magazine commissioned me to create a fringed shoulder bag. What an exciting challenge! I had a bit of a search around online for some fringe and I found this great copper coloured faux leather trim from my fabrics.com. They also sell it in silver and black. 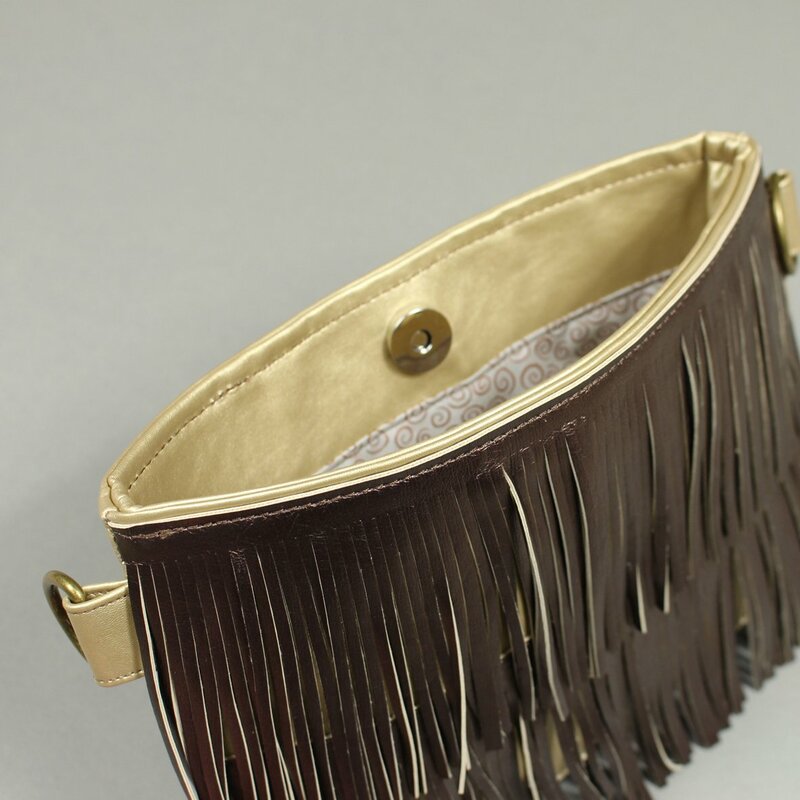 I paired the copper fringing with a beautifully soft faux leatherette from a Rainbow of Stitches. I’m not sure whether Janet has the gold anymore but she has a great range of other colours available. Somehow it seemed fitting that the bag had a chain rather than a strap so I went for a long chain from u-handbag. The bag also features a magnetic closure, rather than a zip….so easy to install, have you tried one yet? Here’s one of my work in progress pictures. 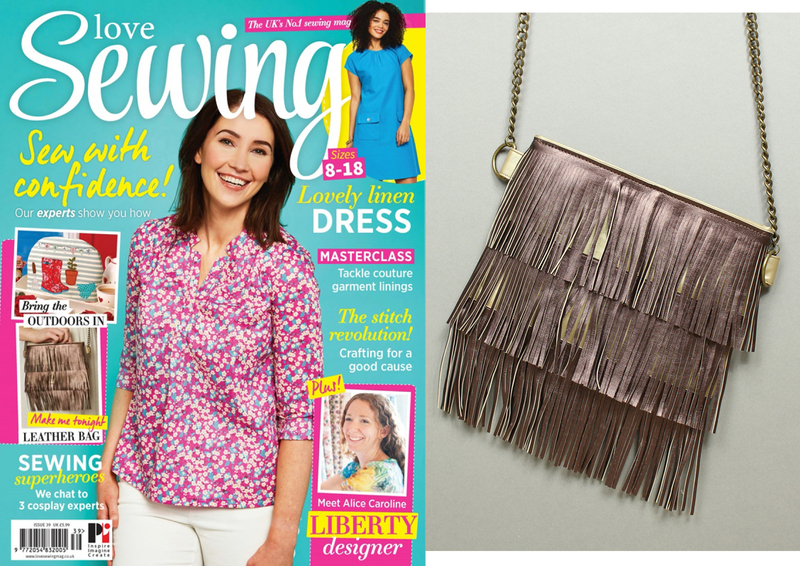 Love Sewing were kind enough to feature my design on the front cover, how nice of them! That’s an amazing fringed shoulder bag. Very good design. Thanks for sharing.